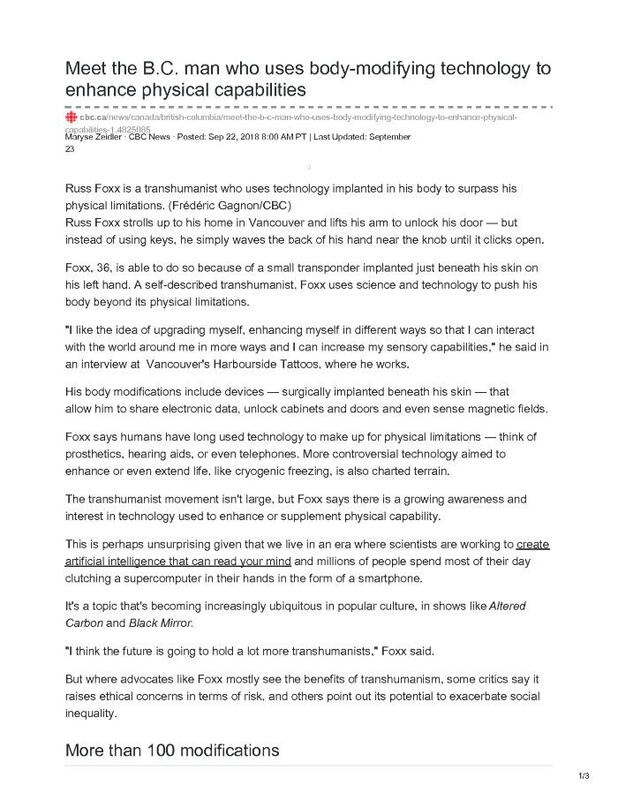 Russ Foxx strolls up to his home in Vancouver and lifts his arm to unlock his door — but instead of using keys, he simply waves the back of his hand near the knob until it clicks open. Foxx, 36, is able to do so because of a small transponder implanted just beneath his skin on his left hand. A self-described transhumanist, Foxx uses science and technology to push his body beyond its physical limitations.